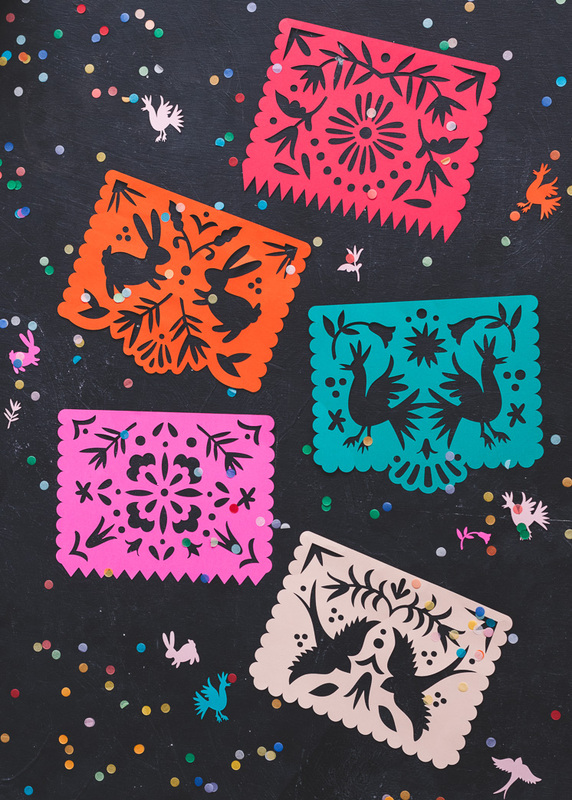 You’re probably familiar with the beautiful tissue paper garlands that you commonly see at traditional Mexican celebrations. It’s a decorative craft made from intricately cut paper, often showcasing very elaborate designs and bright colors. An inspiring example of Mexican folk art, we love the depictions of birds and fun florals. They can be a little tricky to come by so we wanted to create our own designs that we could customize to whatever color palette we wanted! 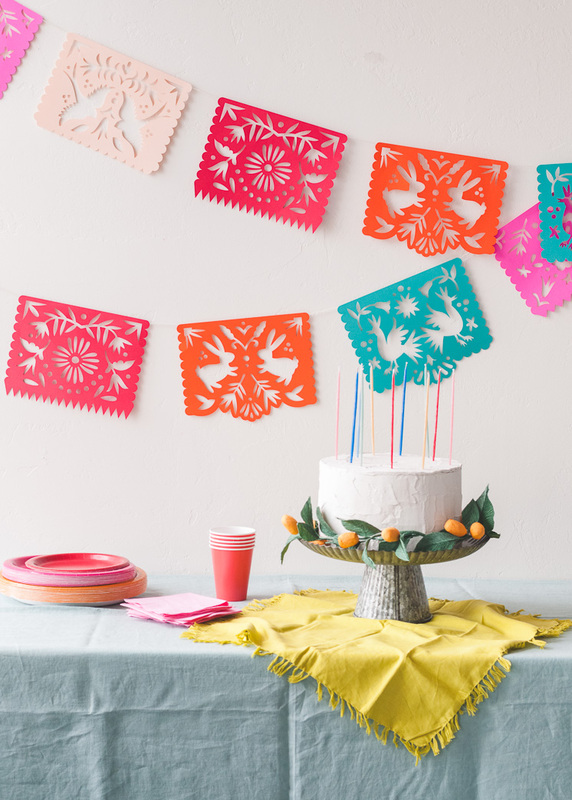 We originally used them in our Cinco de Mayo party here and made them mini version, but you can size them to whatever you’d like. 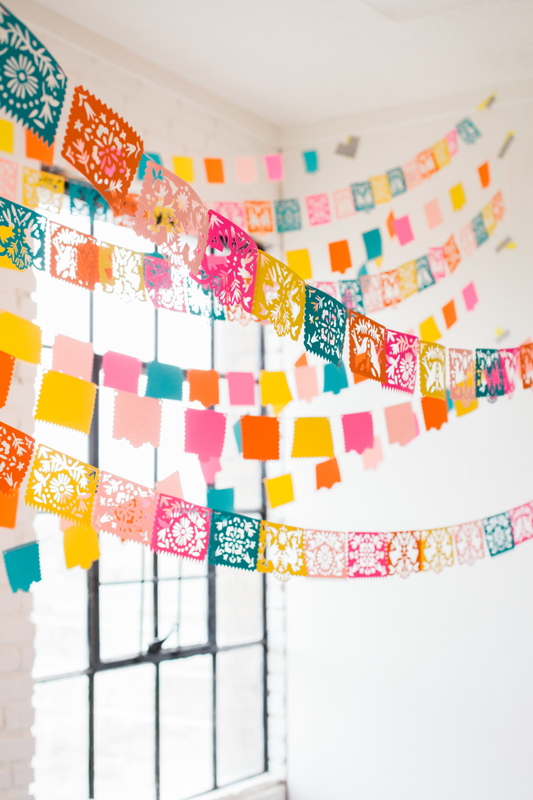 Use these Papel Picado Streamers at your next fiesta! Cut out the patterns with a die-cut machine using our free templates or an Exacto knife and glue some twine onto the back of them. 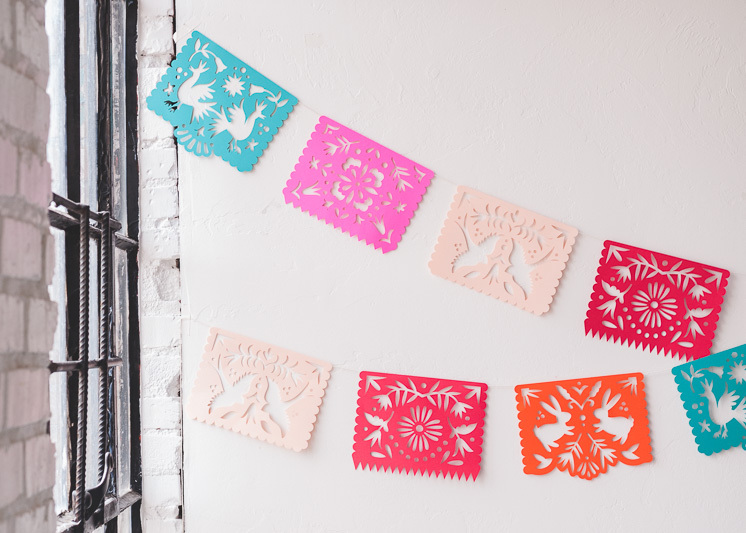 They would be the perfect decoration for any party with a fiesta feel, a backyard BBQ, or Cinco de Mayo of course! Continue to download the free templates! 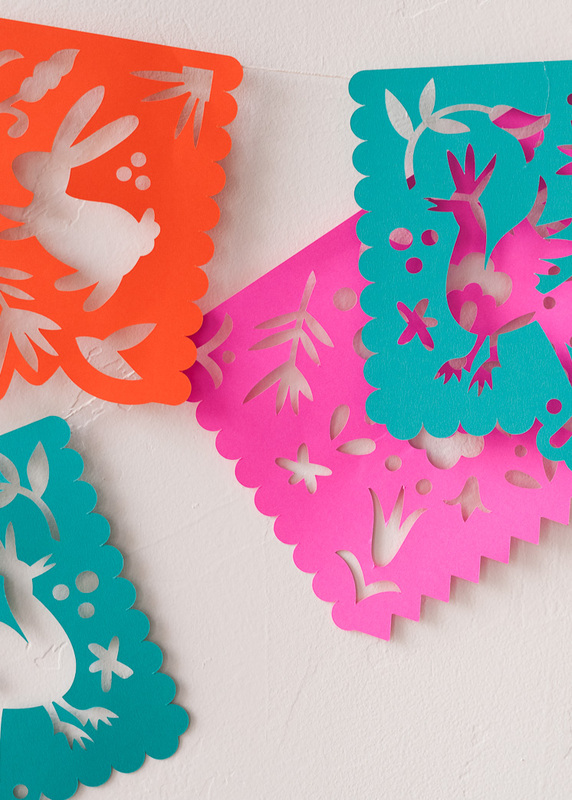 Cut out the 5 designs of Papel Picado using the templates provided. Hang up where ever your heart desires! 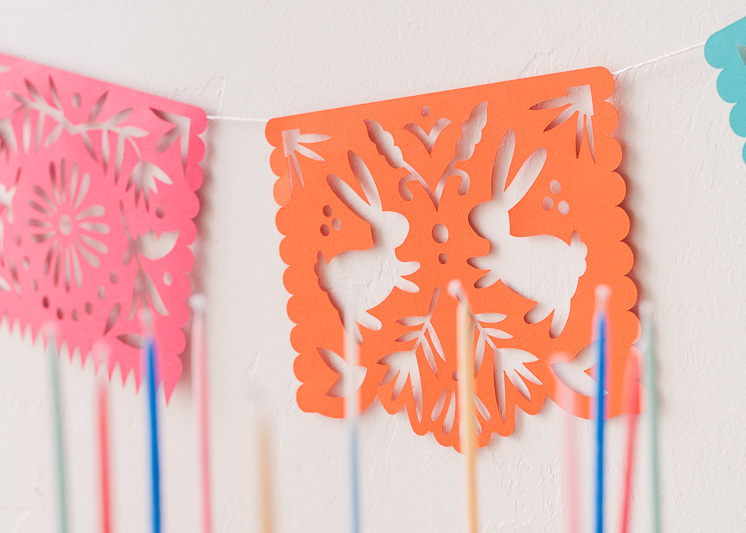 I love papel picado and I really like your ideas. thank you for sheering them. Love love this!! So adorable, I can’t wait to make them for my friends bridal shower! However, when I click on the link, it has all 5 templates on one page, is there a way to have them each on their own page? Thank you!